We picked up Z & E yesterday. It’s both an extra challenge to have them home and a wonderful delight. Both of their giggles are fantastic. I’m pretty sure E grew. This extra week pre-surgery feels like such with my family. We weren’t planning on it (my empty fridge and lack of any fresh produce can attest to this), but we will enjoy it nonetheless. 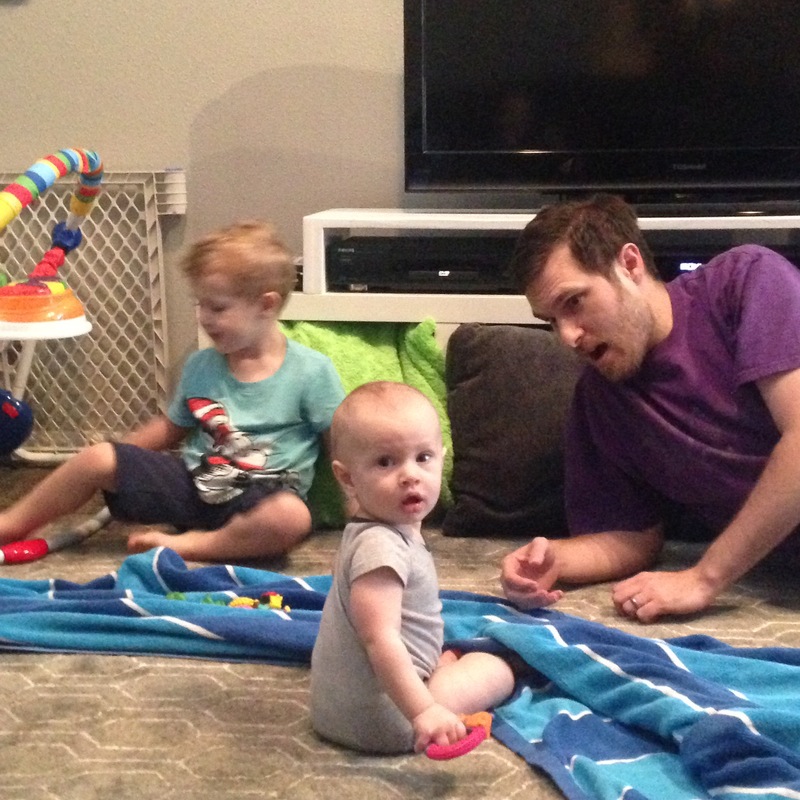 A picture of my guys goofing around this evening. The last three days have not gone at all, as expected. I’m so thankful that we got the green light for me to take my migraine medicine in the next few days, as needed. All of this back and forth is great in reminding me that God is in control. And that I’m so glad us humans are not! Other than that, Little E started figuring out how to clap in the 24 hours he was gone. I LOVE seeing him proudly show off his new skill.